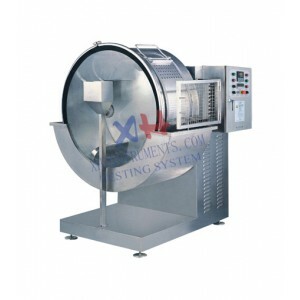 The interlayer heating & circulating stainless steel temperature-controlled drum is essential laboratory equipment in modern leather-making industry, which is mainly used for test of various leathers in small batch and varieties, thus achieving the best processing technology. 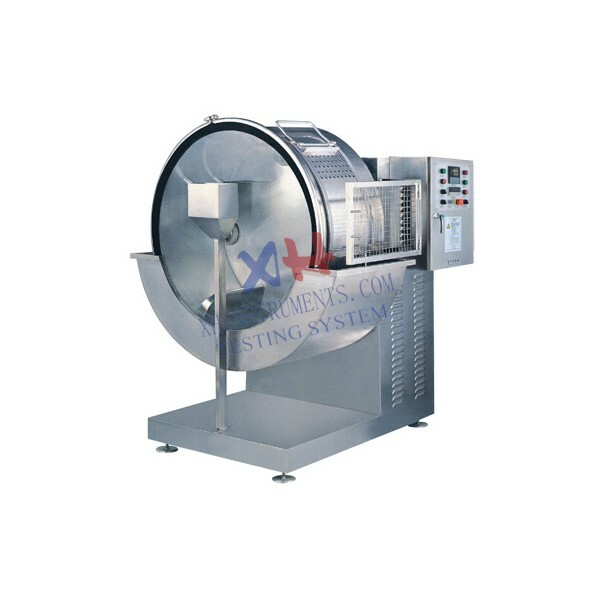 The equipment is suitable for wet operation in preparation, tanning, neutralizing and dyeing processes of leather-making. accurate. The inside of the drum can be cleaned thoroughly so that there well be no any residual liquid and west residue remained. As a result of that, color spot or chromatic difference can be eliminated completely. 2.Speed of the drum is regulated by means of frequency convertor throught chain(or belt).It has advantages of stable drive and low noise. 3.The equipment has the timing functions of controlling total working cycle time,forward & backward rotation duration as well as single direction operation. Each duration can be set up through timer respectively so that the drum can work continuously or interruptedly. 4.Equipped with an intelligent temperature controller,automatic heat,constant-temperature hold and temperature control can be achieved accurately. 5.The observation window is made of fully transparent,high-strength & thermostable touhened glass so that there is no such phenomenon as distortion or dimming. 6.There is cleaning door and dredge trough so that wastewater can be discharged into the trough that makes the process clean. The equipment is also equipped with a safely device , which guarantees operation safe and reliable.